Research has shown that serious asthma attacks have resulted in nearly a third of severe asthma sufferers being put on a life-support machine. A study conducted by Novartis Pharmaceuticals found 28% of sufferers spent time on a life-support machine following a life-threatening asthma attack. 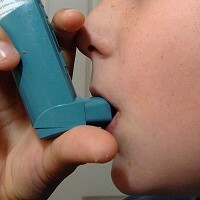 The company surveyed 333 people living with severe asthma and discovered that more than half feared their next attack, while a third spent time in hospital at least once a year. More than two-fifths of those polled revealed they had to visit an accident and emergency centre at least once in the past year following a severe asthma attack. When travelling overseas asthma sufferers are advised to be well-prepared, with foreign allergies and pollution making a pre-existing medical travel insurance policy essential. Dr Dinesh Saralaya, consultant respiratory physician at Bradford Teaching Hospitals NHS Foundation Trust, said: "People with severe asthma whose asthma is not under control or who are experiencing regular attacks should discuss how to best manage the condition with their doctor.